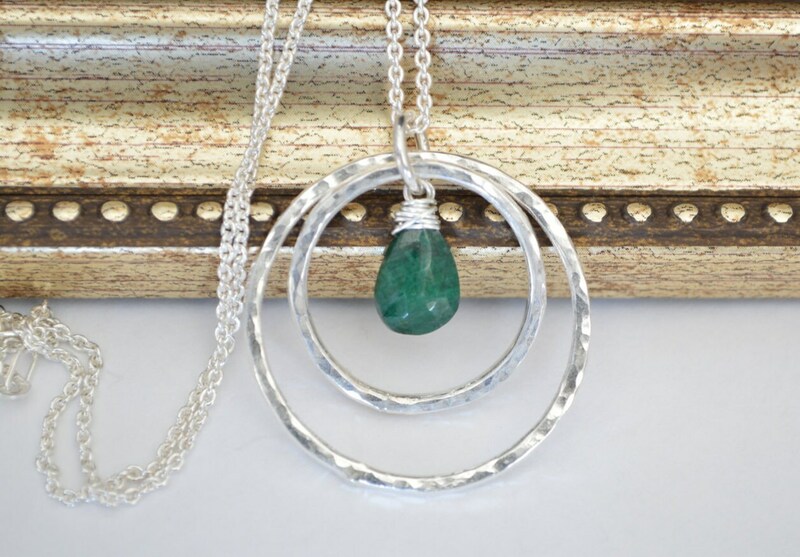 This lovely deep green necklace is handmade with a dark emerald quartz in the center of two hammered silver rings. The 2 rings could be a symbol of 2 decades, 2nd anniversary, or any significant event associated to a pair. 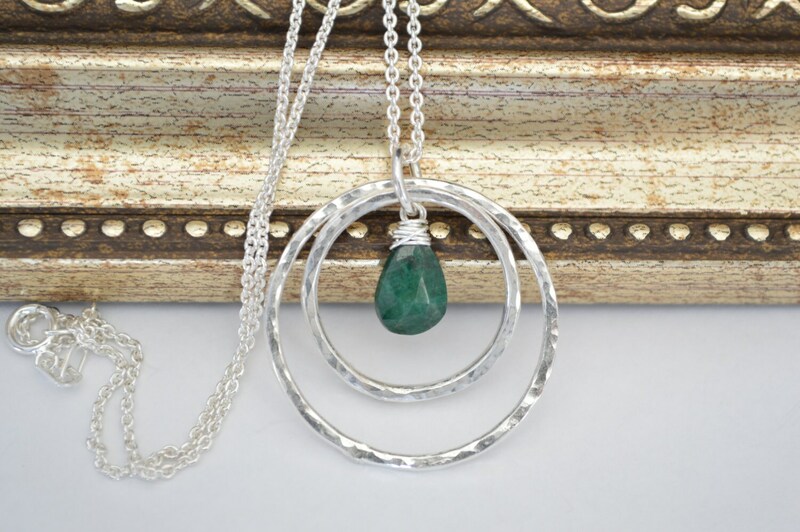 By helping you let go of negativity, natural Emerald crystals will create positive actions and outcomes, giving the strength to overcome problems in life.